Home » Home » 2019 May Events » Welcome Enneagram Portland Community! 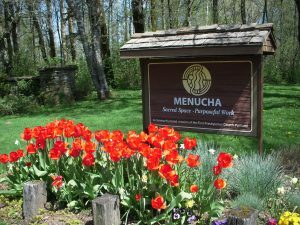 Thank you for registering for the Enneagram Portland Community Retreat to be held at Menucha Retreat and Conference Center. We look forward to having you join us. As you prepare for your visit with us, here are a few things to keep in mind. DATES: We welcome your arrival on Friday, 5/17/2019 with an expected departure on Sunday, 5/19/2019. 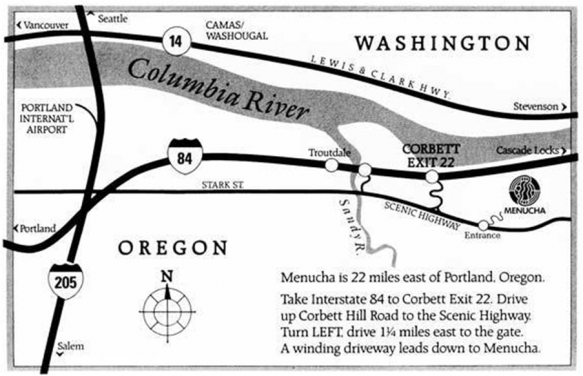 WHERE: Menucha Retreat and Conference Center in Corbett, Oregon. Map and Directions to Menucha Note: GPS systems have been known to lead our guests astray. The map link above has specific driving directions to Menucha. ACCOMMODATIONS: Your group will be staying in Beam House and Creevey Complex. Please visit the “Group Buildings” tab below for photos. Wifi is available in all Menucha buildings except the Barn. 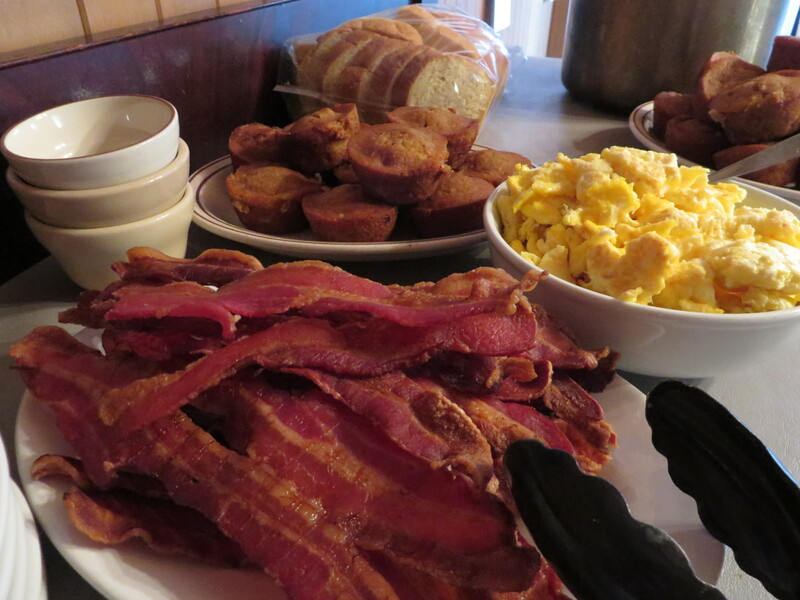 WHAT TO BRING: See our Check List. CHECK IN at Creevey Commons. ORIENTATION will be given by one of our Menucha staff members prior to your first meal. Please make every effort to be in attendance that we might help make your stay more enjoyable. MEALS: Menucha strives to provide delicious food, and to encourage community by serving your group a single entree to be shared family style at each meal. If you will need a different option for health or personal reasons please fill out the Alternate Diet Request form found on the “Alternate Diet Request” tab below. Menucha is glad to provide alternate diets at a small additional cost, and we need advance notice in order to provide this service. Your group’s alternate dietary requests must be received by Menucha on or before 4/26/2019. You may call our Food Service Manager, at 503-695-2243 if you have concerns about our ability to meet your dietary needs. Menucha is located on the south side of the Columbia River Gorge, in Corbett, Oregon inside the Columbia River Gorge National Scenic Area. 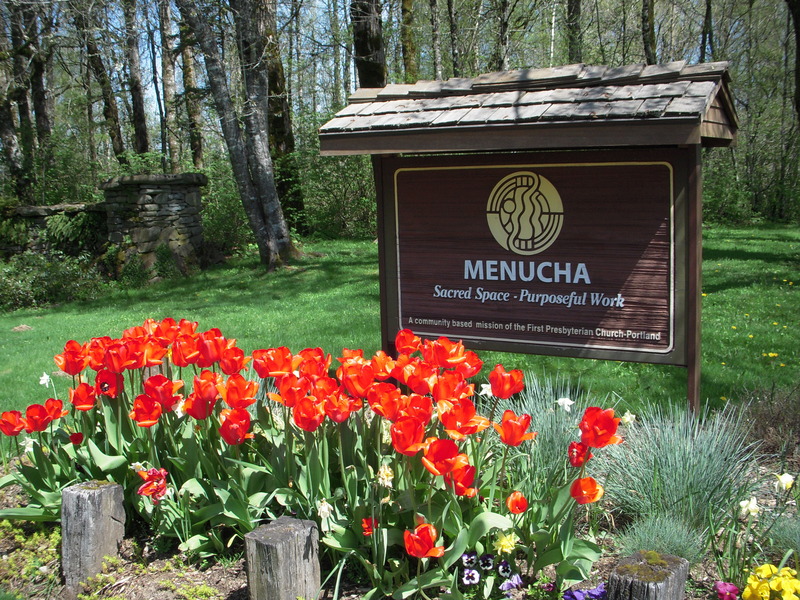 Menucha is 30-40 minutes from Portland and Vancouver’s air, bus, and train terminals. Freeways I-84 and I-205 provide easy access by car from all directions. Specific driving instructions complimenting the map above are found below. GLOBAL POSITION: Our office is 45 degrees 32 minutes 13 seconds north; 122 degrees fifteen minutes 58 seconds west. Please note that GPS systems have been known to lead guests astray! When you see our brown entrance sign, turn in even if your GPS is instructing you to go farther. FROM THE NORTH: Take I-205 southbound to I-84 East. Drive eastward and take exit 22, Corbett Hill Road. At the top of the hill turn LEFT onto Historic Columbia River Highway. Follow signs toward Vista House/Crown Point and proceed 1.25 miles. You will pass the Corbett Country Market and a fire station along the way. (If you pass the Corbett schools, you are headed the wrong direction. Turn around.) Keep left at the fork where Grange Hall Road splits off from the highway. Menucha’s entrance will be on the left side of the road. FROM THE SOUTH: Take I-205 northbound to I-84 east. Drive eastward and take exit 22, Corbett Hill Road. At the top of the hill turn LEFT onto Historic Columbia River Highway. Follow signs toward Vista House/Crown Point and proceed 1.25 miles. You will pass the Corbett Country Market and a fire station along the way. (If you pass the Corbett schools, you are headed the wrong direction. Turn around.) Keep left at the fork where Grange Hall Road splits off from the highway. Menucha’s entrance will be on the left side of the road. FROM THE EAST: Take I-84 westbound. Take exit 22, Corbett Hill Road. At the top of the hill turn LEFT onto Historic Columbia River Highway. Follow signs toward Vista House/Crown Point and proceed 1.25 miles. You will pass the Corbett Country Market and a fire station along the way. (If you pass the Corbett schools, you are headed the wrong direction. Turn around.) Keep left at the fork where Grange Hall Road splits off from the highway. Menucha’s entrance will be on the left side of the road. FROM THE WEST, take whichever highway you need (SR 26 or SR 30) to get to I-84 eastbound out of Portland. Take exit 22, Corbett Hill Road. At the top of the hill turn LEFT onto Historic Columbia River Highway. Follow signs toward Vista House/Crown Point and proceed 1.25 miles. You will pass the Corbett Country Market and a fire station along the way. (If you pass the Corbett schools, you are headed the wrong direction. Turn around.) Keep left at the fork where Grange Hall Road splits off from the highway. Menucha’s entrance will be on the left side of the road. YOU’VE GONE TOO FAR if you reach Women’s Forum Park (1/4 mile past us) or Vista House at Crown Point (2 miles past us). You’ve gone way too far if you reach Multnomah Falls. NEED A TAXI? For local TAXI and SHUTTLE SERVICE companies click here. QUESTIONS? LOST? Call us at 503-695-2243. Comfortable clothes (layers) – the weather can change quickly in the gorge. It can get breezy! Don’t forget comfortable walking shoes and a jacket. Camera. We have amazing views! Bedding and towels are provided for you at no charge if you are staying in Creevey, Boyd, Beam, Lindsay or the Hideaway. If you are staying in Wright Hall, Ballard, Habitat, or the Barn, please check with your group leader to determine if you should bring your own or place an order with your group leader (at an additional charge). There is a small gift shop and an espresso bar at our site. Cash, Visa, Mastercard and checks are welcome in the gift shop, but the espresso bar (Just Wright Java, located in the basement of Wright Hall) accepts either credit cards or coffee cards purchased ahead of time. You may purchase a coffee card from the gift shop or office. Please do not bring pets, fireworks, candles, illegal drugs, guns, or weapons of any kind. Menucha is a marijuana-free environment. 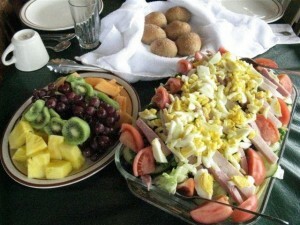 We take great pride in serving nutritious and delicious meals. Bread (made fresh in our own kitchen) and jam (also made in our kitchen from locally grown berries) are just a part of making you feel at home when you visit us. Listed below is a sample menu. As we try to take full advantage of what is available seasonally, your meals will vary from what is listed. If you require an alternate diet or have dietary concerns, please complete our Alternate Dietary Request form (small additional cost applies) or contact our Office (503-695-2243).